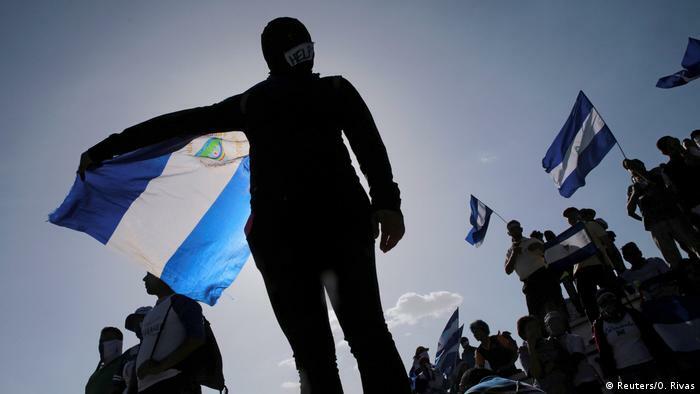 Western media has described the unrest and violence in Nicaragua as a “campaign of terror” by government police and paramilitary. This has also been asserted by large non governmental organizations (NGOs). 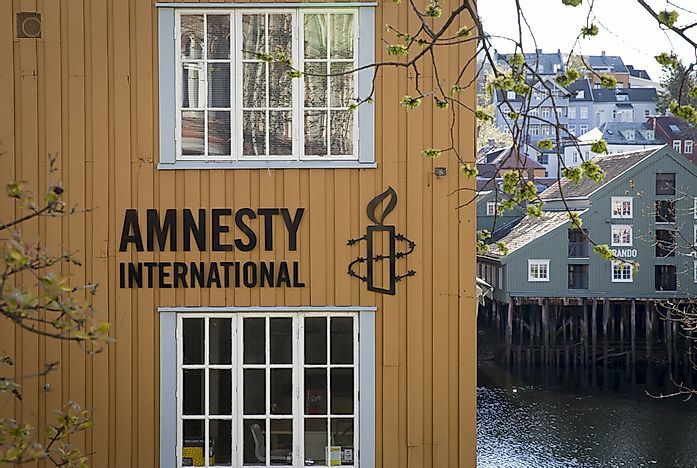 In May, for example, Amnesty International issued a report titled “Shoot to Kill: Nicaragua’s Strategy to Repress Protest”. Much less publicized, other analysts have challenged these assertions. They claim the situation is being distorted and the reality is very different. For example, wrote an open letter condemning the Amnesty report for being biased and actually contributing to the chaos and violence. To learn more about the situation, Task Force on the Americas (TFA) invited Camilo Mejía to speak in the San Francisco Bay Area. TFA has a long history of work in Central and South America educating the public, lobbying around US foreign policy and leading delegations to see the reality in Central and South America. 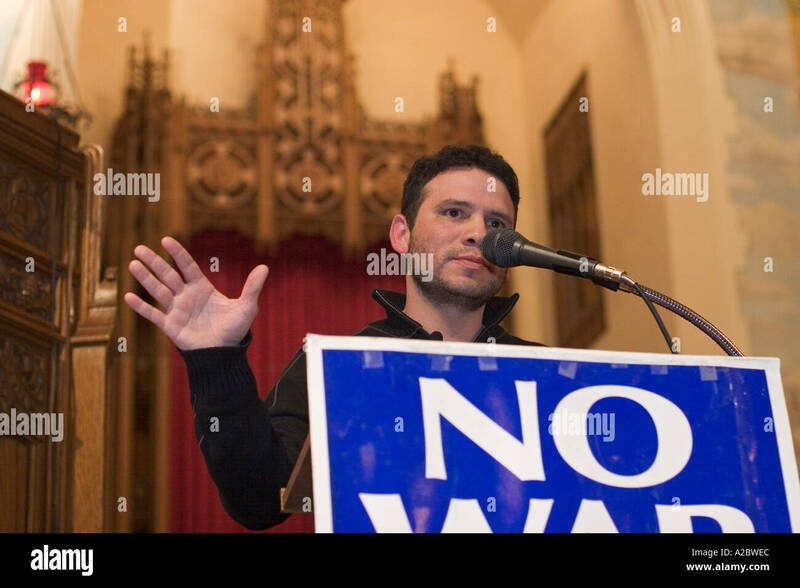 Veterans for Peace (VFP) quickly agreed to co-sponsor events with Camilo in San Francisco and Oakland. Veterans for Peace also has a long history with Nicaragua. 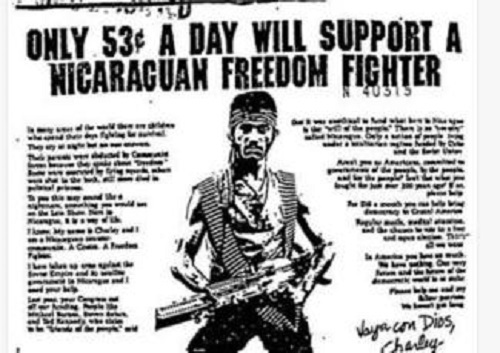 VFP was founded partially in response to US aggression in Central America. 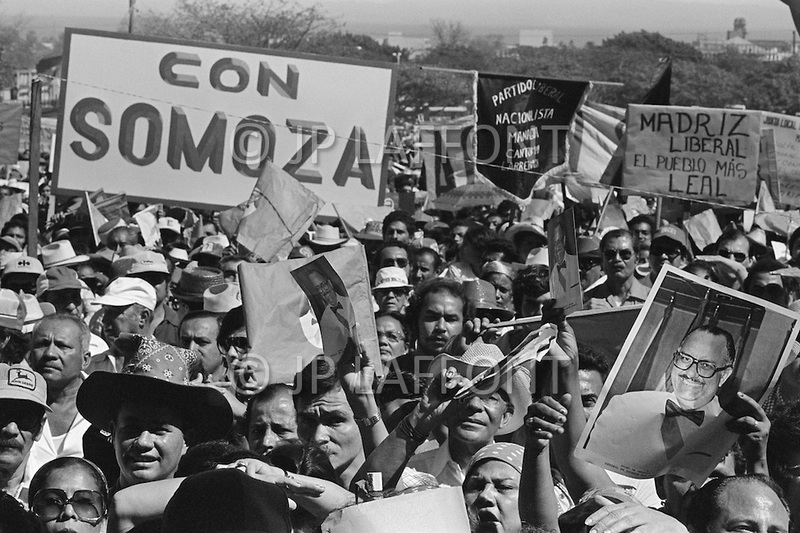 VFP members protested against US shipments to the Nicaraguan Contras. VFP member Brian Willson had both legs cut off when a train carrying weapons destined for Central America ran over him. The current VFP president, Gerry Condon, was at that protest and helped stop the blood gushing from Willson’s severed legs. Brian Willson lives in Nicaragua today. 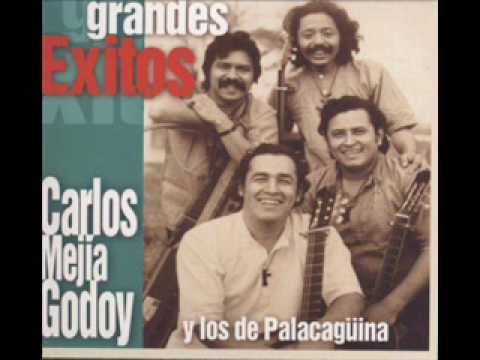 Camilo Mejía was born in Nicaragua, the son of famous musician Carlos Mejía Godoy. His mother was a staunch Sandinista activist but separated from the father soon after his birth. She brought Camilo to the United States as a single mother in 1994, four years after the Sandinista electoral defeat. Living in Florida, Camilo struggled to make ends meet and joined the US Army to pay for college. Just a few months before completing his service, Camilo was ordered into the 2003 invasion of Iraq. After serving one tour of war duty, he refused to return and was imprisoned for 9 months. As news of Camilo’s upcoming visit to San Francisco was spread, we quickly started to feel a reaction. There is a large and diverse Nicaraguan exile community in San Francisco. While some support the Sandinista government, others are adamantly opposed and some even supported the Contras decades ago. Anti-Ortega Nicaraguan exiles in San Francisco began organizing a protest . 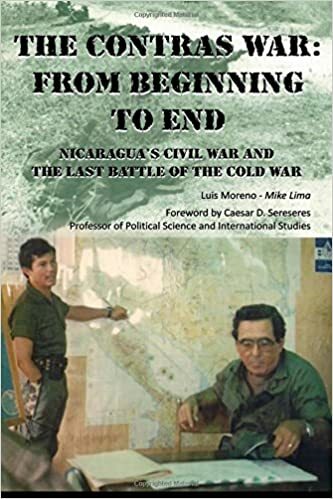 Camilo’s visit to speak on Nicaragua also prompted a reaction from some Americans who had once supported the Sandinistas but now support the opposition. They campaigned to have their viewpoint presented at our events. TFA and VFP organizers thought there was no need to include the opposition voice since their characterization of the conflict is widespread. However Camilo wanted to be transparent and not exclude the opposition. He thought that if we allowed an opposition supporter to speak briefly, they were more likely to listen to his analysis and he could directly address their concerns. A second video showed a statement from an American who has lived in Nicaragua for many years. He described how gangs had invaded his town, set up road blocks, intimidated and abused local civilians. He described the joy of the community when the roadblocks were removed and masked “protesters” departed. Organizers from TFA and Veterans for Peace decided the Sunday event in Oakland needed to be handled differently. Members of Veterans for Peace, including chapter president Paul Cox and others, prevented the protesters from entering. Ultimately the venue was packed with interested listeners. The anti-Ortega crowd protested on the sidewalk and street but were not able to disrupt the event. Nicaragua was connected to the gold rush in California in the the mid 1800’s. That is when the idea of a trans-oceanic passage through Nicaragua was born. 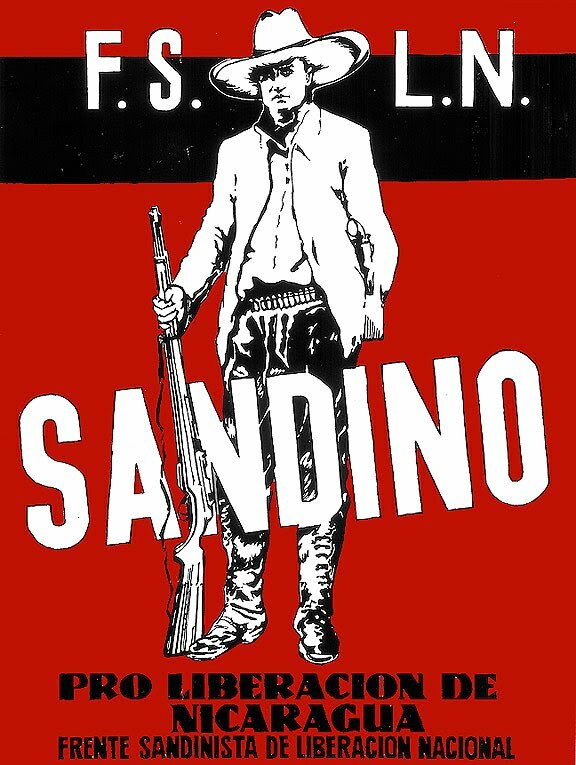 When Cesar Sandino launched guerrilla war in the 1920’s and 30’s there were two priorities: advancing the working class and anti-imperialism. 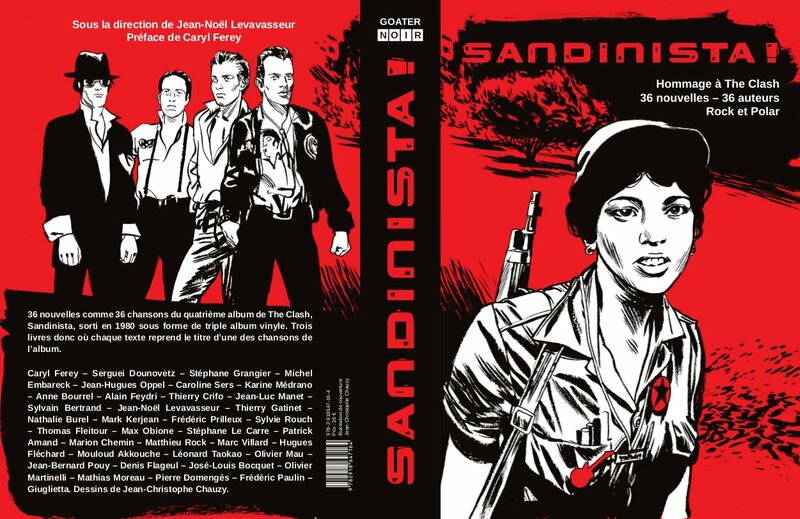 The Frente Sandinista which carried out the 1979 revolution had nine commanders: three from each of three factions. After the Sandinistas lost the 1990 election, splits emerged and ultimately Sergio Ramirez formed the Movimiento Renovador Sandinista (MRS). The more affluent members plus intellectuals, writers, and musicians gravitated toward it. But though they were well connected to western solidarity activists, they had no popular platform nor base. They did poorly in elections and moved toward neoliberal policies and the NGO world. Since taking power in 2007, Daniel Ortega and Sandinistas have improved living conditions for the poor with free healthcare, free education and better economic policies. Nicaragua now supplies 80 – 90% of its own food needs. Up until April, Nicaragua was vastly safer than neighboring countries. Their “community policing” is considered a model. Support for Ortega and the Frente Sandinista has steadily increased. In 2006, they won 38% of the vote; in 2011, it increased to 62%; in 2016 support increased to 72% with 68% turnout. There has been much misinformation about the proposed changes in social security which sparked the protests in April. To stabilize the social security funding, the IMF wanted to implement an austerity plan which would have doubled the work requirements and raised the qualification age from 60 to 65. The Sandinista proposal was much more progressive, requiring wealthy individuals and businesses to pay much more with minor changes for others. The death count has been manipulated. Some deaths are counted twice; people who were said to be dead have turned up alive; dead Sandinista supporters have been counted as protesters. The first deaths on April 19 were one student, one police officer and one bystander killed by sniper fire. Camilo asks: Was this done by the government or by outside forces? 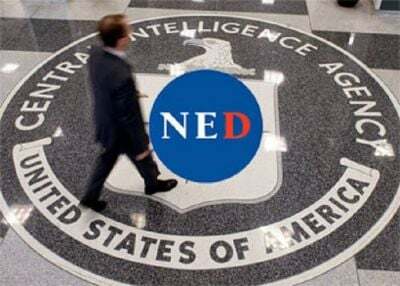 The National Endowment for Democracy and other US agencies have trained students and others in using social media, video and symbols to stir up dissent and destabilize Nicaragua. At the Oakland event, Camilo showed a torture video which demonstrates opposition violence. He also showed video of the huge July 19 celebration of the the revolution anniversary. His talk was followed by many questions including from opposition supporters. At times during the event, there was tension and concern about violence from the protesters outside. Some Nicaraguan families were afraid for their safety. After the event, they had to be escorted with protection to their cars. The car of one Nicaraguan family was besieged by the anti-Ortega crowd. Camilo and his young daughter had to be quickly taken away amidst shouts and waving placards. Ultimately Camilo’s visit accomplished the goal. Media interviews in Spanish and English reached many thousands. In these and the public presentations, he brought information and analysis which has been largely censored or ignored in coverage of Nicaragua. Camilo believes Nicaragua has temporarily defeated a “soft coup” attempt but the danger is not over. The opposition forces internally and internationally are still there. Rick Sterling is an investigative journalist and current board president of Task Force on the Americas. He can be reached at rsterling1@gmail.com.